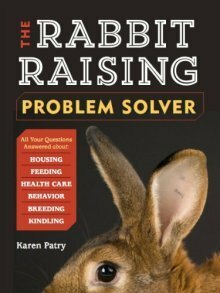 How to pad a rabbit nest box? My doe is 29 days prego and has formed a nest, but hasn't pulled any fur yet. This is her first litter, and I'm concerned she won't pull any. I was wondering if there is anything I can put in her nest to compensate? I used pine shavings and hay, but she threw out most of the pine and built the nest from the hay, so there is some padding, but not a lot of softness and I'm worried about the cold. I may end up having to bring her inside otherwise but I REALLY don't want to move her to a new cage she doesn't recognize. And since I won't know if she is gonna pull till the kits are here, I would be moving the nest box too, and that may not go well. Advice? The doe will pull her fur when she does her kindling, if not just before. I wouldn't think the doe purposefully "threw out" the shavings. She was just doing her building thing, which instinct tells her is in a burrow, and she wouldn't be losing shavings if she were scooping out a rounded space in a burrow. What you can do is replenish the shavings, replicating the shape of the "burrow," and being reasonably careful to not greatly disrupt her hard work with the hay. On the other hand, when some of our own does have done the same thing, and if the kindling date was still a couple days away, I have dumped more shavings and hay in the box almost willy nilly. The does remade their nest box either immediately or after nightfall. On their second try, they usually don't feel so frantic and driven. This time the doe can be expected to leave sufficient shavings at the bottom and to do a much better job of burrow-building. Hope it works out for your doe.